Looking for a Beautifully updated Home with 2 Master Bedrooms, 1 on the 1st floor and the other on the 2nd floor, with NEW Windows, Granite Counter Tops,Stainless Steel Stove,Refrigerator, Dishwasher,Stove Hood,Tile Back Splash, Freshly Painted Throughout,Re-Finished Tubs with New Tile Surrounds, New Carpeting, and Re-Finished Hardwood Floor in Foyer. The 2nd floor Master has a Finished Bonus Room with Closet and Storage Space which could be used as a Sitting Room,Nursery, Office, or TV Room.Home Features a Formal Living and Dinning Room and Family Room with Fireplace and entrance to back deck overlooking a nice size backyard which would give you a good amount of space to entertain your family and friends. Freshly landscaped and Located in the heart of Midlothian Village on one of the most desirable streets in Walton Park. The pool/playground/clubhouse are just a short walk away. Walton Park offers an optional membership for pool/clubhouse/tennis courts. Close to the Midlothian Mines Park w/ lake/walking trails & easy access to 288 and Powhite Parkway. Dawnridge Ct. is absolutely magical during the holidays. Although no known defects the fireplace/Chimney, Both Sheds Convey AS-IS. SchoolsClick map icons below to view information for schools near 12620 Dawnridge Ct Midlothian, VA 23114. Listing provided courtesy of Movement Realty Professionals. 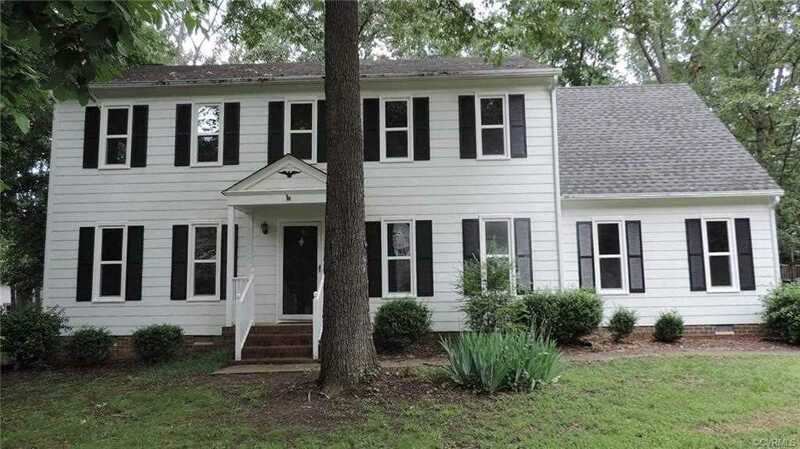 Home for sale at 12620 Dawnridge Ct Midlothian, VA 23114. Description: The home at 12620 Dawnridge Ct Midlothian, VA 23114 with the MLS Number 1900032 is currently listed at $299,950 and has been on the Midlothian market for 112 days. You are viewing the MLS property details of the home for sale at 12620 Dawnridge Ct Midlothian, VA 23114, which is located in the Walton Park subdivision, includes 4 bedrooms and 3 bathrooms, and has approximately 2448 sq.ft. of living area.